With the Una Pingo children's cutlery from Stelton, every meal becomes child's play for the little ones. 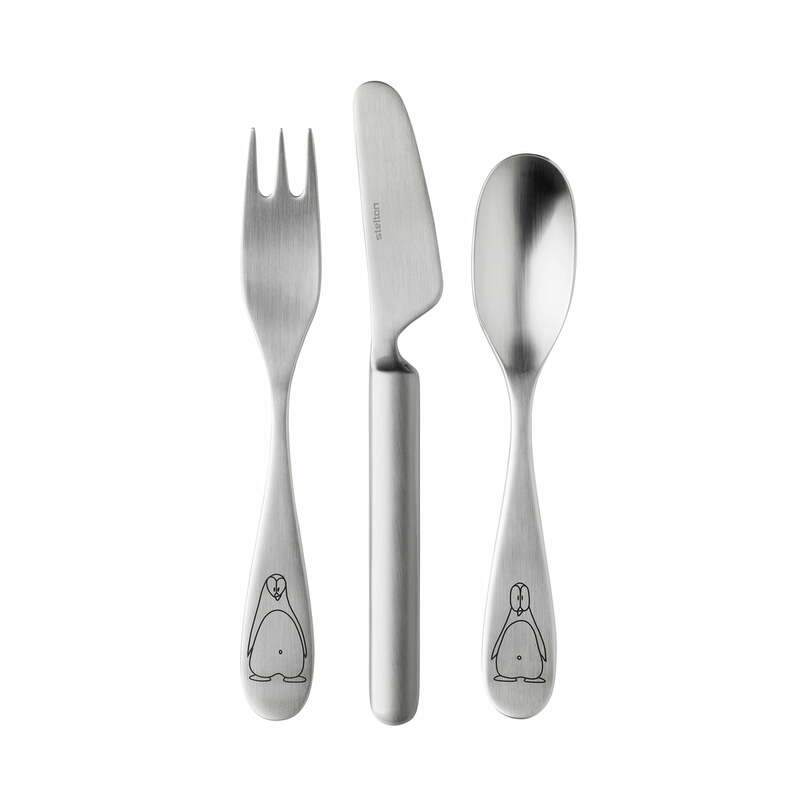 The cutlery with the playful penguin motif is made of stainless steel and ensures fun at the dining table. This makes it particularly easy for the children to sit at the dining table and eat their meals. Because with the little penguin you can tell imaginative stories that give pleasure to young and old. The cutlery set includes a knife, a fork and a spoon. The set is the children's version of the elegant cutlery series Una, which was designed in 1973 by Norwegian designer Tias Eckhoff and is particularly appreciated by lovers of the Bauhaus style. The designer wanted to create a cutlery that would fit children and adults equally well in the hand and feel particularly comfortable and stable. The Una Pingo cutlery set is offered in a set of 3. It is a wonderful gift idea for families with children - for christenings, birthdays or Christmas. 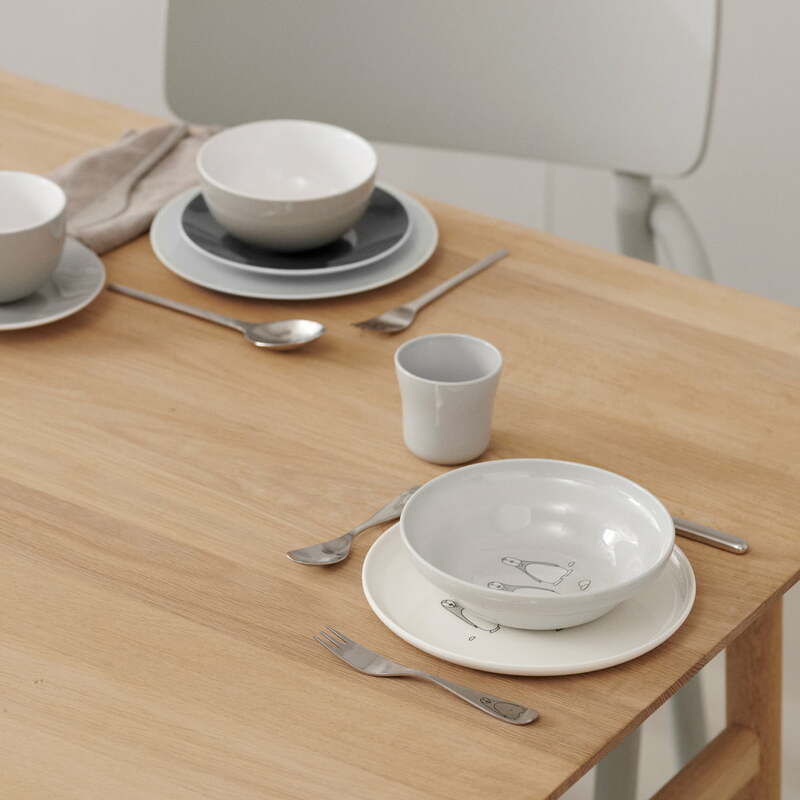 A Pingo children 's service consisting of a flat plate, deep plate and cup in timeless shades of grey is also available to match the cutlery set. 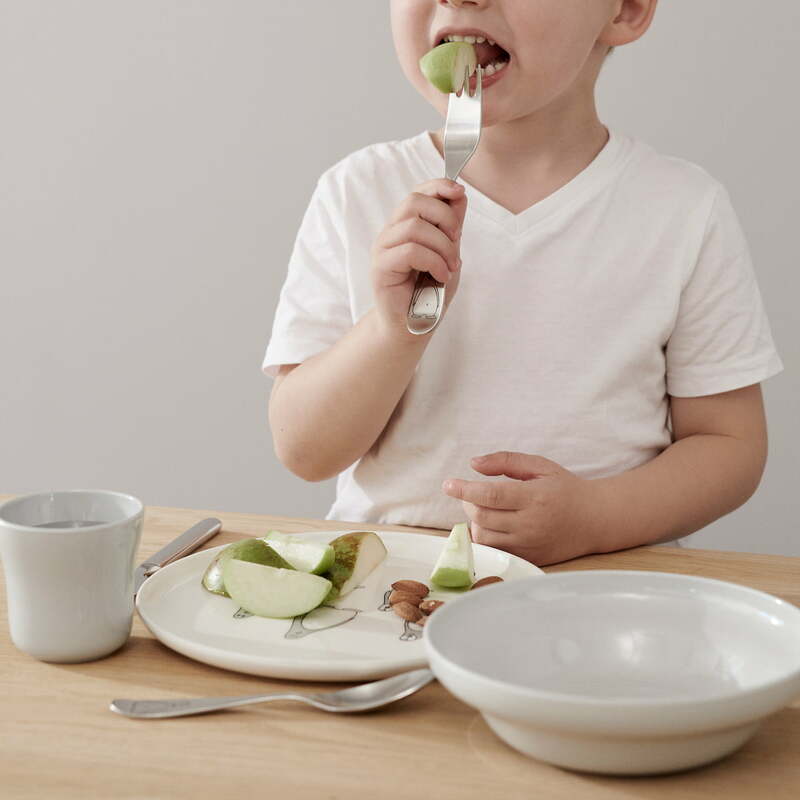 With the Una Pingo children's cutlery by Tias Eckhoff for Stelton, every meal becomes child's play for the little ones. The fork, knife and spoon with the playful penguin motif is made of stainless steel and makes for fun at the dining table. 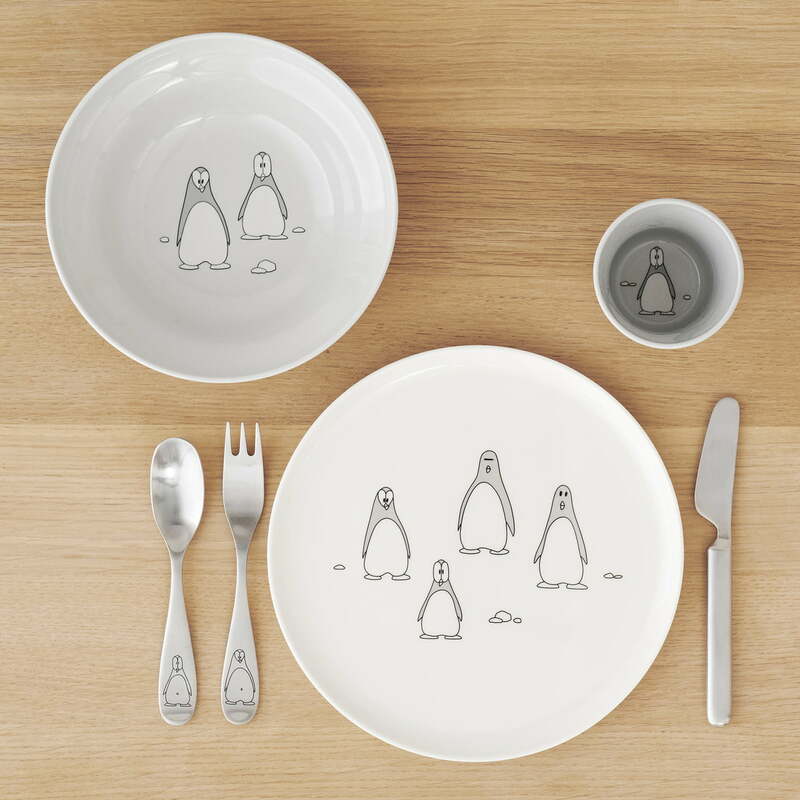 Pingo children's tableware with Una Pingo children's cutlery by Stelton. The dishes and cutlery are dishwasher-safe and therefore ideally suited for daily use. The Una Pingo children's cutlery from Stelton is also available to match the Pingo children's tableware. The set is also a great gift idea for various occasions. Pingo children's tableware with Una Pingo children's cutlery by Stelton. Designed especially for small children's hands, the plate, cup and cutlery have soft curves that are easy to grasp. 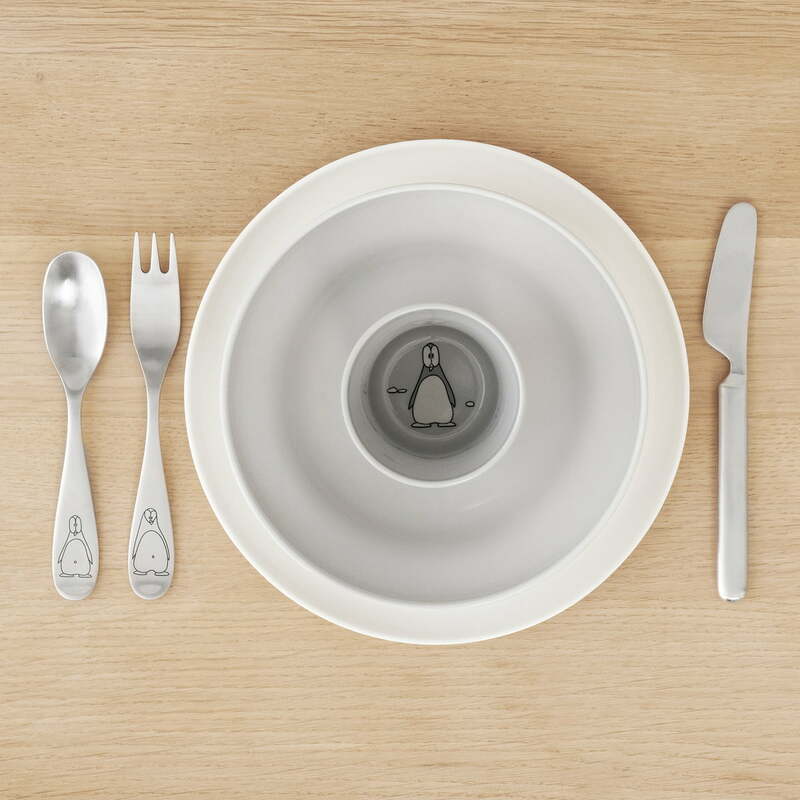 The little penguin makes it easier for children to sit at the dining table and eat their food. Because the motifs with the cute penguin inspire exciting stories that captivate the child's interest for a long time.